Some maps of the “Environmental Radioactivity Project around the Fukushima Daiichi Nuclear Power Plant” project, a measurement group of Japanese citizens based in Minamisoma in Fukushima Prefecture, are published in the blog “Fukushima 311 Voices “. This is the area in Namie-cho where the restrictions on living were recently lifted by the government (March 31, 2017). It is the measurement result of Namie Town in the area which was evacuated, from this spring. About 10 days from April to July, we measured the air dose rate, surface contamination count rate, and soil contamination density of 314 points, which were the approximate center points of the mesh divided into 375 m × 250 m.
But for the soil contamination density, the numerical value was less than 40,000 Bq / ㎡ (which is the designated standard of a radiation control area) at only 3 points. Incidentally, the average of the soil contamination density is 858,143 Bq / ㎡ (maximum is 6,780,000 Bq / ㎡, the minimum is 31,400 Bq / ㎡), the average of the air dose rate at 1 m above the ground is 1.12 μSv / h, the surface contamination count rate was 1,199 cpm, which was very high. 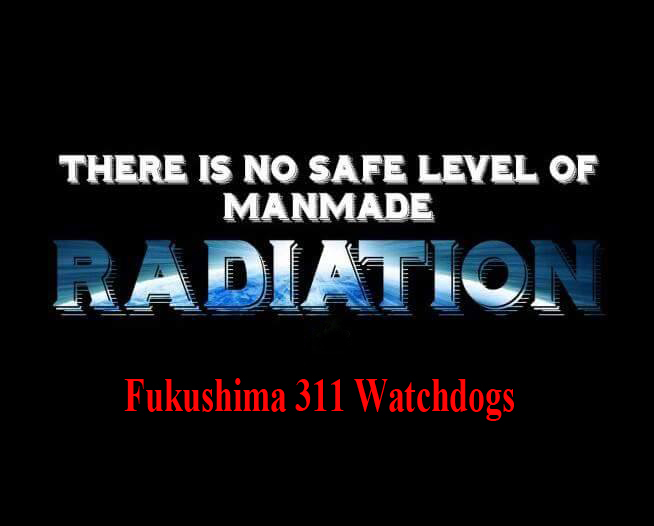 Even the Japanese government, even radiation workers, have been given restrictions on staying time, meals, age, etc. in the areas of 40,000 Bq / ㎡ or more, but people who were to be affected by even more severely radiation-contaminated areas (including pregnant women and others) were supposed to return home. I would like many people to know this reality. Furthermore, I would like to ask for such a great support as we share the thought of Minami-soma who are fighting in trials against such a high evacuation standard setting of 20 mSv / yr by the Japanese government. Special thanks to Mr Ozawa, and to Nick Thabit for his translation. While fetal and neonatal deaths within the first week of life (termed perinatal mortality) have been decreasing in Japan consistently since 2002, data examined in Fukushima-affected areas during 2012-2015 show a break in this trend with an increase that, as of 2015, had not reversed. This recent study examines numbers of perinatal deaths in areas affected by the ongoing Fukushima nuclear catastrophe and compared these data to other areas of Japan supposedly unaffected. This research is just the latest showing a perinatal mortality increase following Fukushima. A number of studies in Europe also showed similar increases following the Chernobyl nuclear catastrophe.